The Estimating Manager oversees the delivery of timely and comprehensive proposals, project estimates and other project deliverables. This includes overseeing the estimating staff members and planning, coordinating and executing company standards for estimating systems to meet the needs of the customer. This position reports to the Vice President of Estimating. This position carries out supervisory responsibilities in accordance with the organization’s policies and applicable laws. Responsibilities may include, but are not limited to; interviewing, hiring, mentoring and training employees; planning assigning, and directing work; appraising performance; rewarding and disciplining employees and resolving employee issues. • Data Sheet, and communicates vital goals to assigned project staff. • Reviews and adjusts Responsibility Differentiation Matrix for all assigned projects. • Completes or oversees document and specification reviews for all assigned projects. • Quantifies or delegates the quantification of, the gross programs areas and estimate range of program unit costs for assigned projects. • Develops preliminary risk report for assigned projects and reviews with Vice President of Estimating or Estimating Director. • Completes a Document Distribution Matrix and develops Initial subcontractor list in cooperation with assigned project lead estimator. • Conducts Preconstruction Department project strategy meetings to convey assignment and initial program data related to assigned projects to Document Control, Logistics and MPE Managers and assigned Lead Estimator. • Drafts lead estimator project deliverables and Kickoff Meeting Agenda in cooperation with assigned project lead estimator. • Reviews project deliverables with assigned lead estimator. • Manages the estimating process by overseeing the progress of the estimating teams’ chronological assigned tasks and reports weekly to Vice President of Estimating. • Conducts a comprehensive review of all aspects of a bid or presentation in preparation for the final review. • Works in coordination with assigned project lead estimator to submit or present project estimate and all presentation or proposal materials to the Vice President of Estimating, and senior management for final review. 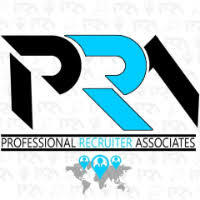 • Establishes and maintains professional relationships and open communication with assigned clients. • Attends all scheduled meetings related to assigned projects with assigned clients and/or client consultants. Directs and clearly communicates vital goals on assigned projects to assigned preconstruction staff. • Oversees assigned preconstruction staff to ensure that all facets of each proposal or deliverable are on track to be completed in a timely and professional manner. • Attends and participates in preconstruction project status meetings with assigned members of project team. • Participates in or conducts presentations of assigned projects and interviews with assigned clients. • Adheres to and supports all Safety requirements. • Maintains clear and open communication with and assists Business Development Department in the preparation of proposals. • Assists Vice President of Estimating in establishing, implementing, evaluating, and updating department standards and procedures. • Demonstrates consistent ability to be dependable, consistent, diligent, and thorough. • Exercises creativity and resourcefulness in completing tasks accurately in a compressed timeframe. • Performs all other duties as assigned by supervisor. • Ensure compliance with OSHA regulations to include health, safety, and welfare as appropriate. Advanced knowledge of lodging and gaming vocabulary and facility program components. • Demonstrates a level of competency of at least “well experience” on all areas of preconstruction. • Possess thorough understanding of principles of critical path scheduling. • Demonstrates excellent written and oral communications and team skills. • Works in a self directed manager with an interest in quickly learning and applying new skills and abilities. • Demonstrates technical knowledge of the construction industry and a mastery of advanced cost-estimating methods. • Applies knowledge and skills of commonly used concepts, practices, and procedures in construction field. • Must be dependable, consistent, diligent and thorough creating and resourceful in accomplishment project goals. • Ability to manager multiple complex objectives and demonstrate flexibility through changing conditions. Intermediate knowledge of Windows / Word / Outlook. Advanced skill level with MS Excel / PowerPoint. Intermediate knowledge of On Screen Takeoff Software. Education: High School or equivalent required. Bachelor’s degree in Engineering, (Civil, Construction Management) or technical training is required. A combination of education and work experience will also be considered in lieu of degree. Experience: Ten or more years of experience in the preconstruction or in a related area, or 12 or more years with no degree.